Gum disease is the leading cause of adult tooth loss. Unfortunately, gum disease doesn’t typically produce any symptoms in its early stages. It’s critical to have regular checkups with an experienced dentist like Dr. Leonid Levit so that any issues like gum disease can be diagnosed and treated early. You can call or book an appointment online at either of Dr. Levit’s practices: Levit Dental in the Brighton Beach neighborhood of Brooklyn, New York, or Kensington Dental in the Kensington neighborhood. Gum disease, also known as periodontal disease or periodontitis, is a dental condition where bacteria cause infection to develop and damage your gums. When left untreated, gum disease can eventually lead to tooth loss. Everyone has bacteria in their mouth, which is managed through regular brushing and flossing. However, when plaque builds up on your teeth, it’s more difficult for you to effectively clean away bacteria, mucus, and other debris. This compounds the production of plaque and can lead to the development of tartar. Tartar is a plaque that hardens onto the teeth and creates hidden pockets where even more bacteria can hide and reproduce. As the bacteria reproduce, they can infect the gums and cause inflammation and sensitivity. This initial infection is called gingivitis. When left untreated, gingivitis evolves into gum disease and the gums start to pull away from your teeth. This allows the bacteria to get even deeper into your gums and even reach the roots of your teeth, which can lead to tooth loss. Prevention is one of the best treatments for gum disease. You should brush and floss your teeth at least twice a day and schedule checkups with Dr. Levit every six months. 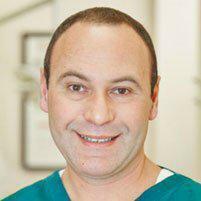 If necessary, Dr. Levit performs scaling, where he removes plaque and tartar from below your gum line. Some patients may also benefit from Arestin® injections, which deliver antibiotics directly to your teeth and gums to clear out any excess bacteria. Dr. Levit also offers root planing, a treatment that smooths your teeth, reducing rough spots or pits where bacteria could get trapped and reproduce. Maintaining good dental hygiene is the best thing you can do to protect your dental health and prevent gum disease. This means brushing and flossing at least twice a day and attending routine dental checkups and professional cleanings. Call or book your next dental appointment online with Dr. Levit today.